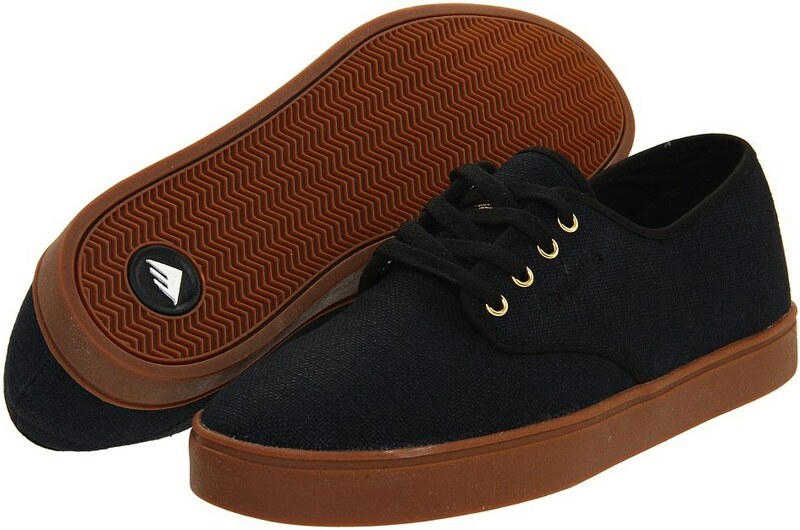 Emerica Laced come with laces, but I’m supposed to say you can/should wear them with out laces. That is CRAZY! Seriously. They are trimmed down and light enough as it is, so just lace the damn things. If you decide not, the marking data says they have a tongue strap to keep things snug. Soles are Vulc, and the Black Canvas has Gold accents so you can dress in team colors if you’re from da ‘Burgh or want to watch Stay Gold. Seriously if you haven’t seen it, go buy it now.